Smart tip for use of touch screens. Light and flexible glove with Nitrile technology for breathability. Provides good grip in oily conditions and good mechanical resistance. Conforms to EN388. 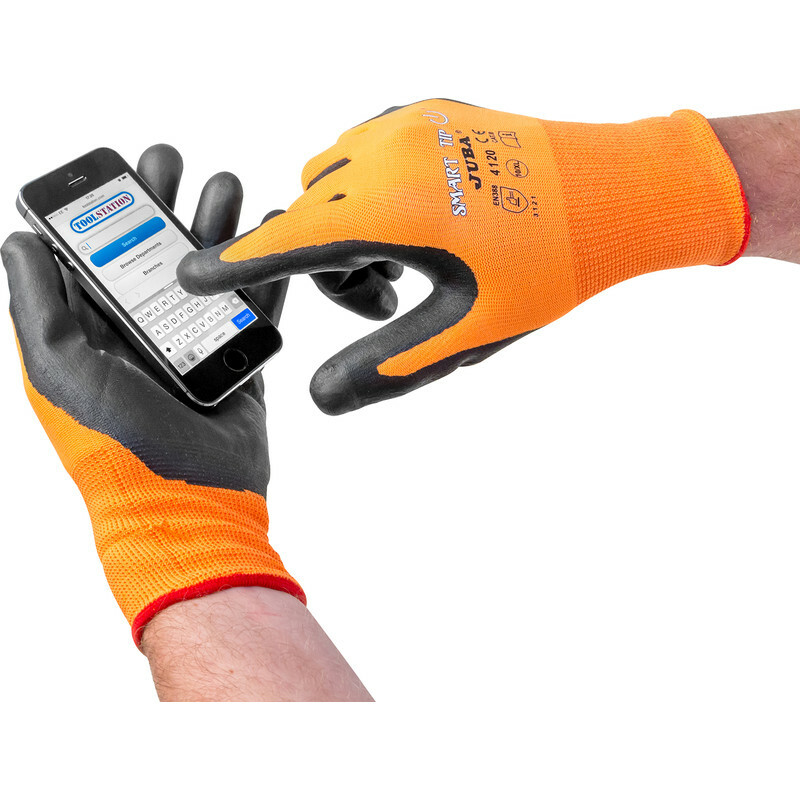 JUBA Smart Tip Gloves X Large is rated 4.6 out of 5 by 7. Rated 4 out of 5 by Gasm from Great gloves Best gloves I've used, expensive but long lasting. No need to take them of to access touch screen control. Rated 5 out of 5 by AndyA from Very Tactile I have bought 2 pairs of these and really like them for general indoors work/DIY. The first pair I eventually wore out after a long time of use. I have big hands but bought the large and not extra large as the snug fit is better for gipping and feedback I feel.. I prefer these over any other work gloves. Rated 5 out of 5 by Platinum Bob from Great value good gloves Bought to do extensive house rewiring. Never needed to take them off having excellent finger control and sensitivity. Works with the smartphone too as advertised. Went back and two more pair.